Description: Time Series Bag of Features (TSBF) is an extension of TSF that has multiple stages. The first stage involves generating a subseries classification problem. 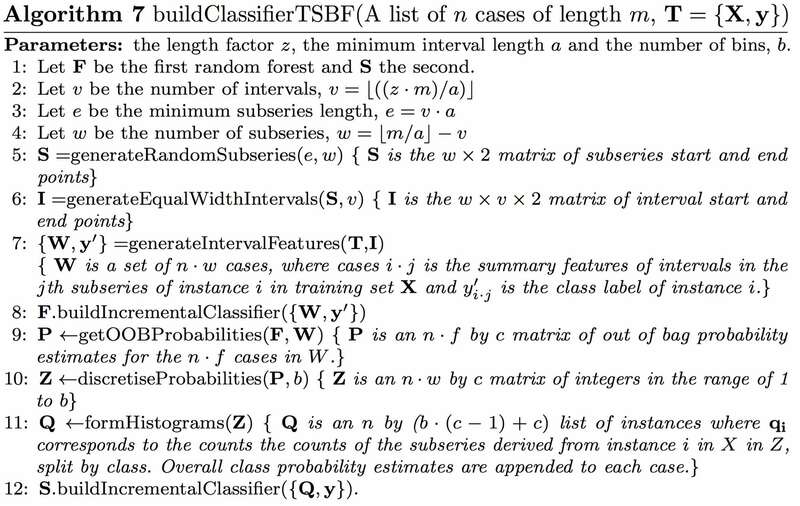 The second stage forms class probability estimates for each subseries. The third stage constructs a bag of features for each original instance from these probabilities. Finally a random forest classifier is built on the bag of features representation. Algorithm 7 gives a pseudo-code overview, modularised for clarity.